Eating well is one of the best ways you can take care of yourself and those who depend on you. What you eat makes a big difference in the way you look and feel. A healthy diet gives you energy to get through your busy day, supports your mood, helps you maintain your weight, and keeps you looking your best. What you eat can also be a huge support as you go through different stages in your life. Your food choices can help reduce PMS, boost fertility, combat stress, make pregnancy easier, and ease the symptoms of menopause. Whatever your age, committing to a healthy diet will help you look and feel your best so that you stay on top of your commitments and enjoy life. 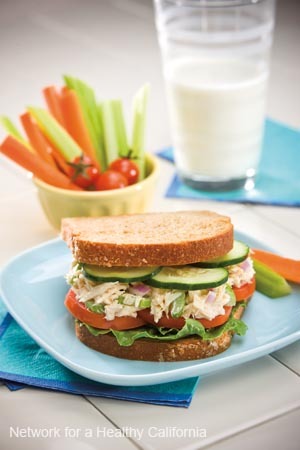 A well-rounded diet consists of whole grains, fresh fruits and vegetables, healthy fats, and lean sources of protein. These kinds of foods provide women with plenty of energy, the means for lifelong weight control, and the key ingredients for looking and feeling great at any age. Focus on whole, plant-based foods. Fill most of your plate with fruits and leafy green vegetables. Also include a variety of whole grains, beans, and legumes to give you filling fiber and keep you going throughout the day. Try to find minimally-processed or locally-grown foods whenever possible and make these foods the mainstay of your diet. Women are at a greater risk than men of developing osteoporosis, so it’s important to get plenty of calcium to support your bone health. While dairy products are high in calcium, their animal fat and protein can accelerate bone loss. 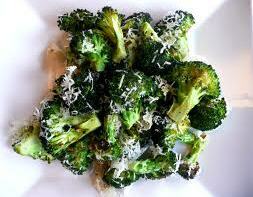 So also consider plant-based sources of calcium like beans, broccoli, kale, Brussels sprouts, and collard greens. Protein is an essential part of any healthy diet, but eating too much animal-based protein—such as the levels recommended in many low-carb, high-protein diets—is particularly dangerous for women. Eating lots of protein causes calcium loss. Over time, this could lead to a decrease in bone density and osteoporosis. Many women don’t get enough iron in their diet. On top of that, women lose a lot of this important mineral during menstruation. Boost your intake by eating iron-rich foods such as lean red meat, dark poultry, lentils, spinach, almonds, and iron-fortified cereals. Women who have more than two alcoholic drinks a day are at higher risk of osteoporosis. Caffeine consumption interferes with hormone levels and also increases the loss of calcium. Try to limit alcohol consumption to one glass a day and caffeine to one cup a day. Your diet has a major effect on your food cravings, your stress levels, and your energy throughout the day. By making smart food choices and developing healthy eating habits, you’ll find it much easier to stay slim, control cravings, and feel energetic all day long. Get your metabolism going in the morning by eating a healthy breakfast. 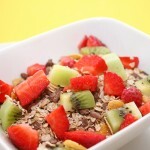 Studies show that people who eat breakfast tend to weigh less than those who skip it. A solid breakfast provides energy for the day. Going too long between meals can make you feel irritable and tired, so aim to eat something at least every 3-4 hours. Support your body’s natural cycle of energy by eating a substantial breakfast, a nutritious lunch, a snack around 2 pm (to compensate for the body’s natural low point that occurs around 3 each afternoon), and a light early dinner. The ups and downs that come with eating sugary snacks and simple carbohydrates cause extreme swings in energy level and mood. Cutting out these foods can be tough, but if you can resist for several days, your cravings will subside. Foods such as baked potatoes, whole-wheat pasta, brown rice, oatmeal, whole grain breads, and bananas boost your “feel-good” serotonin levels without a crash. They also provide plenty of fiber, so you feel full much longer. You may think that they key to losing weight or avoiding weight gain is cutting out carbohydrates. But carbs, like fats, are a vital part of a healthy diet. They give you the fuel you need to get through your day, fight fatigue, and stay feeling full. The key is to choose the right kinds of carbohydrates. 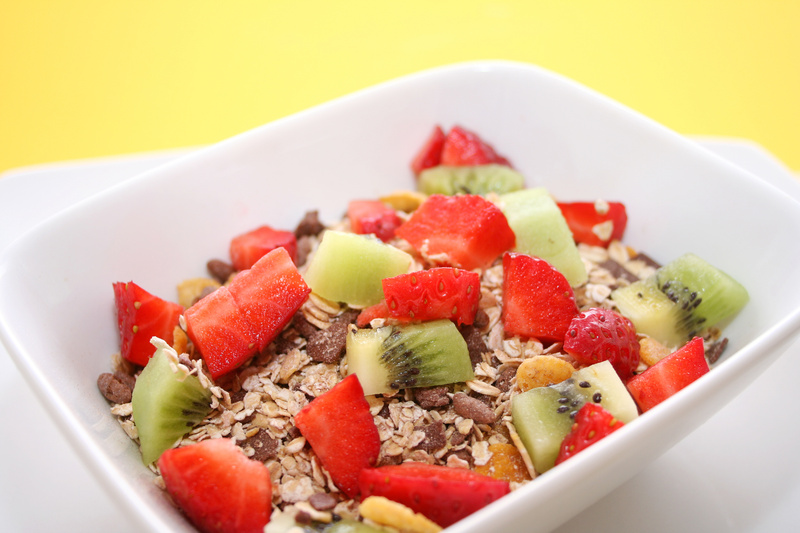 Complex carbohydrates—the “good carbs”—have not been stripped of their fiber and nutrients. Because they’re rich in fiber, they keep you full longer and help with weight control. 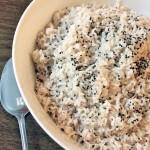 Good sources of complex carbs include whole grains such as whole grain brown rice, stone ground whole wheat, millet, or quinoa, as well as beans, other legumes, fruit, and vegetables. Simple carbohydrates—the “bad carbs”—have been stripped of their fiber and many of their nutrients. Simple carbs lead to a dramatic spike in your blood sugar, followed by a rapid crash. 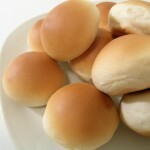 These carbs are much less efficient at filling you up and keeping you energized. 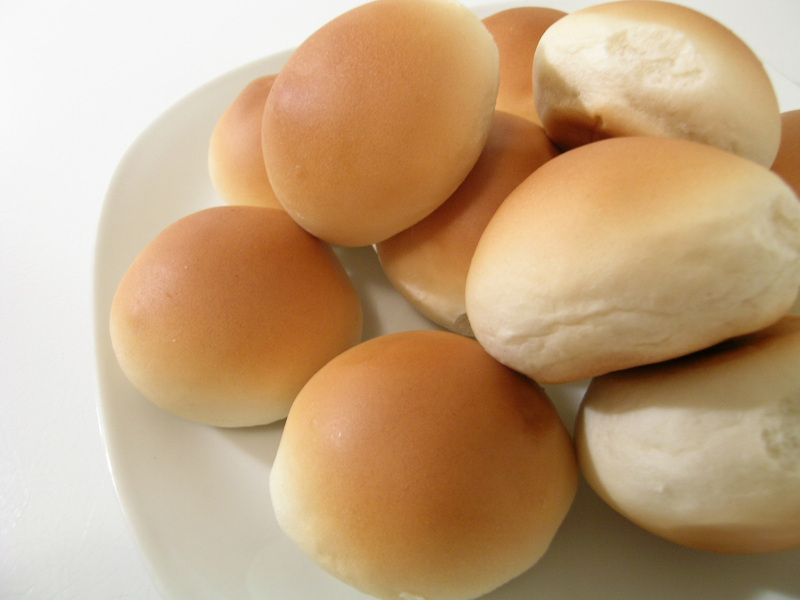 Simple carbs include white flour, white rice, and sugary foods. Tip 3: Don’t cut out the fat! Many women have been led to believe that dietary fat is unhealthy and will contribute to weight gain. But fats are a necessary part of a healthy diet. What really matters are the types of fat you eat. Healthy fats boost your brain power and mood. Fats are essential to healthy brain function. They put you in a good mood and keep you mentally sharp. 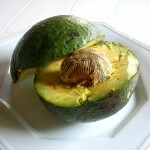 Healthy fats promote healthy pregnancies. When you’re pregnant, both you and your growing baby need healthy fat to feel your best. Fat is especially important to your baby’s developing brain and nervous system. Healthy fats contribute to lifelong beauty. 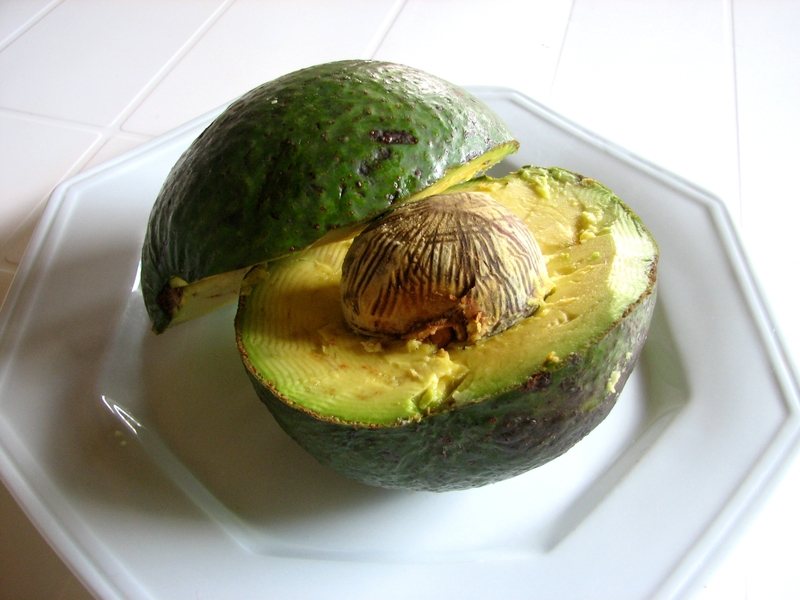 Fats are essential for vibrant, glowing skin, hair, and nails. A lack of healthy fats in your diet can lead to dull, flaky skin, brittle nails, and dry or easily-damaged hair. Healthy fats help control cravings. Because fat is so dense in calories, a little goes a long way in making you feel full. Small amounts of good fats like nuts or seeds make great satisfying snacks. Fats lower the glycemic index of foods, easing the spike in blood sugar that results from eating carbohydrates. You need fat in order to absorb certain vitamins. Many important vitamins—including vitamins A, D, E, and K—are fat-soluble, meaning you need fat in your system in order to absorb them. *For more information, go to our Choosing Healthy Fats! page. 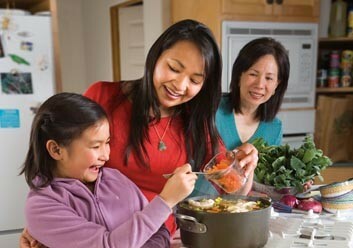 It’s important for women of all ages to eat foods that contribute to strong, healthy bones. Women have a higher risk of osteoporosis than men. But osteoporosis is largely preventable with good nutrition and exercise. After the age of 30, you stop building bone mass, but you can eat to maintain strong bones at any age. The key is to get enough of the nutrients that support bone health. Calcium and magnesium, in combination with vitamin D, are vital for women’s bone health. Calcium and magnesium needs are higher for people who eat the standard western diet (high consumption of sugar, caffeine, meat, and alcohol and a relatively low consumption of leafy greens and whole grains). The recommended daily allowance varies from 400 to 1,200 mg/day. Good sources of calcium include dairy products, leafy green vegetables, oatmeal and other grains, tofu, cabbage, summer squash, green beans, garlic, and sea vegetables. Calcium is absorbed slowly and your body cannot take in more than 500 mg at any one time. 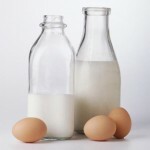 See Related articles section below for a PDF factsheet on good sources of calcium. The recommended daily allowance for magnesium is 500 to 800 mg/day. Calcium can only work when taken in conjunction with magnesium. Good sources of magnesium include leafy green vegetables, summer squash, broccoli, halibut, cucumber, green beans, celery, and a variety of seeds, including pumpkin, sunflower, sesame, and flax seeds. Aim for between 400 and 1,000 IU (international units) daily. You can get Vitamin D from about half an hour of direct exposure to sunlight, and also from foods and supplements. 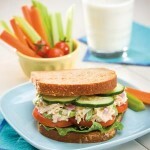 Salmon is an excellent source of vitamin D. Other good sources include shrimp, vitamin-D fortified milk, cod, and eggs. *For more information, go to our Calcium for Your Bones page. Fat and protein are very important to your baby’s developing brain and nervous system. Stick to lean sources of protein and healthy fats for weight control. Abstain from alcohol. No amount is safe for the baby. Cut down on caffeine, which has been linked to a higher risk of miscarriage and can interfere with iron absorption. Limit yourself to no more than one caffeinated drink per day. Be cautious about foods that may be harmful to pregnant women. These include soft cheeses, sushi, deli meats, raw sprouts, and fish such as tuna that may contain high levels of mercury. Keep your caloric consumption a little higher to help your body maintain a steady milk supply. Emphasize lean sources of protein and calcium, which are in higher demand during lactation. Take prenatal vitamin supplements, which are still helpful during breastfeeding, unless your physician tells you otherwise. Avoid alcohol, caffeine, and nicotine. Just as with the pregnancy guidelines above, refrain from drinking and smoking, and reduce your caffeine intake. If your baby develops an allergic reaction, you may need to adjust what you’re eating. 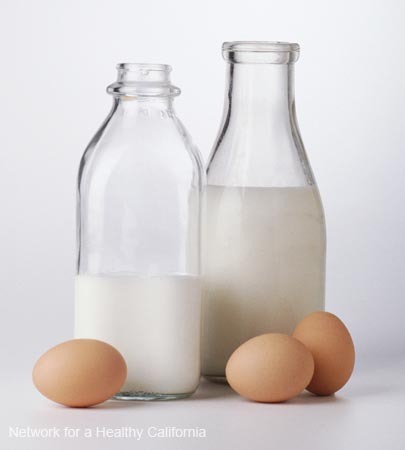 Common food allergens include cow’s milk, eggs, wheat, fish, and citrus. For a cow’s milk allergy, you can meet your calcium needs through other high calcium foods, such as kale, broccoli, or sardines. For up to a decade prior to menopause, your reproductive system prepares to retire and your body shifts its production of hormones. By eating especially well as you enter your menopausal years, you can ease this transition. Boost calcium intake. Calcium supports bone health and helps prevent osteoporosis. Also make sure you’re getting plenty of Vitamin D and magnesium, both of which support calcium absorption. Limit wine, sugar, white flour products and coffee. Hot flashes improve in almost all cases when those foods are reduced or eliminated. Eat more good fats. Omega-3 and omega-6 essential fatty acids can help boost hormone production and give your skin a healthy glow. Evening primrose oil and black currant oil are good sources of gamma-linolenic acid (GLA), an essential fatty acid that can help balance your hormones and alleviate hot flashes. Try flaxseed for hot flashes. Flaxseed is rich in lignans, which help stabilize hormone levels. Flaxseed can be particularly effective in managing hot flashes. Add 1 to 2 tablespoons of ground flaxseed to your daily diet. Try sprinkling it on soups, salads, or main dishes. Consider eating more soy. Soy products are high in phytoestrogens, plant-based estrogens that are similar to estrogen produced by the body. Some studies suggest that soy may help manage menopausal symptoms. Try natural soy sources such as soy milk, tofu, tempeh, and soy nuts. Authors: Melinda Smith, M.A., Maya W. Paul, and Jeanne Segal, Ph.D. 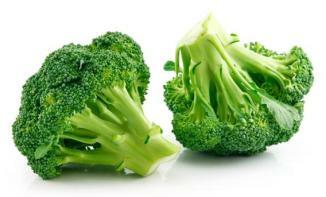 Excellent source of vitamin A, vitamin C, vitamin K, and folate. A good source of fiber, vitamin B6, riboflavin and potassium. 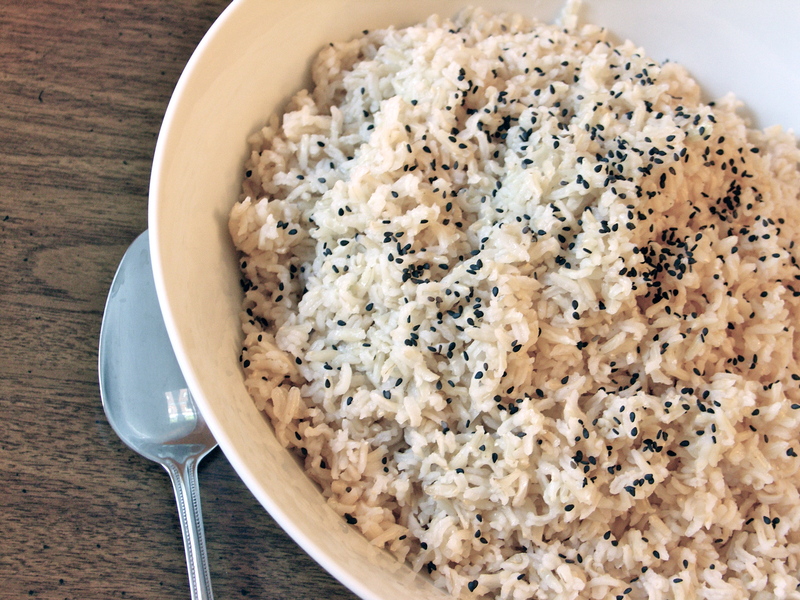 This simple and delicious dish works well as a side dish to accompany any meal!